Let’s discuss decision points for selecting right components for Artificial Intelligence (AI) solutions. This is also an update to Machine Learning Decision Tree (v1). Keep in mind here that AI is a broader term compared to Machine Learning. AI in Business Applications: Dynamics 365 AI (AI for Customer Service, Market Insights, Sales), Microsoft 365 AI (Office 365 Workplace Analytics, ML in Power BI, O365 Search). Knowledge Mining: O365 Search, Azure Search. AI Apps and Agents: Azure Bot Service (Framework), Cognitive Services (Vision APIs, Speech APIs, Language APIs, Search APIs, Custom APIs). 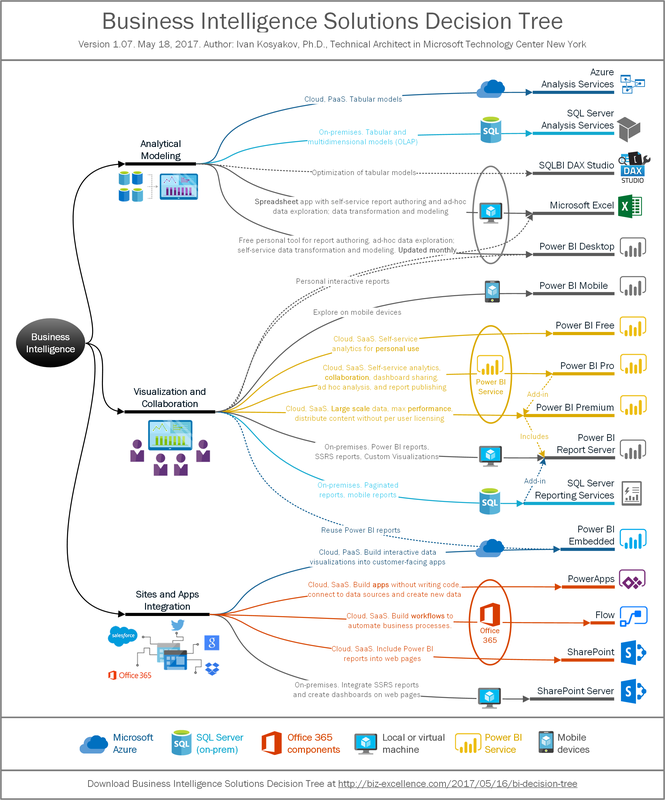 Machine Learning Tools: Azure Notebooks, Jupiter Notebooks, Code, PyCharm, Visual Studio, Azure ML Studio. 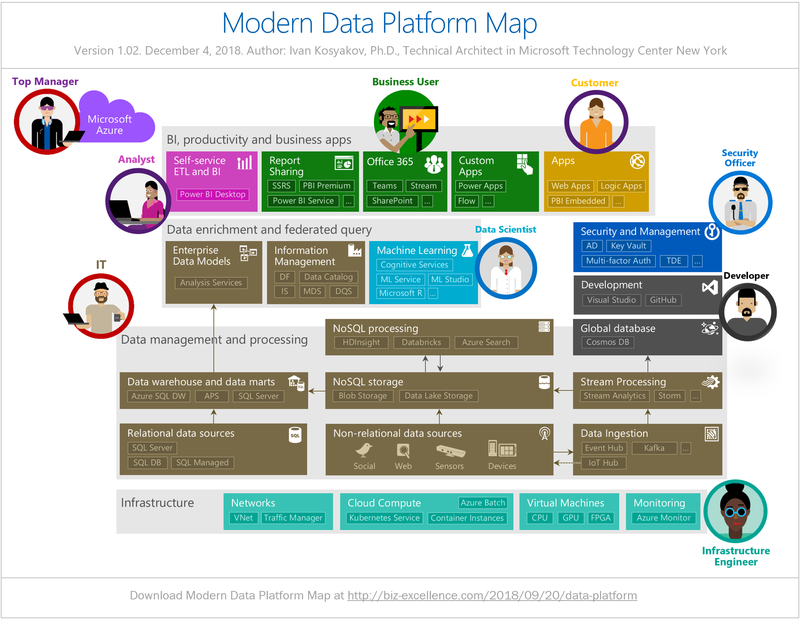 Cloud-based Machine Learning: Azure ML Service, Azure ML Studio, Data Preparation (Azure Data Factory, Azure Databricks), Model Training/Testing (Azure Databricks, Azure HDInsight, Data Science VM), Container Registry, Model Deployment (Azure Container Instances, Azure Kubernetes Service, Azure Batch, Azure IoT Edge), Azure Infrastructure (CPUs, GPUs, FPGAs). On-premises Machine Learning: Edge Devices, Cognitive Services Containers, SQL Server ML Services, On-prem Hadoop. 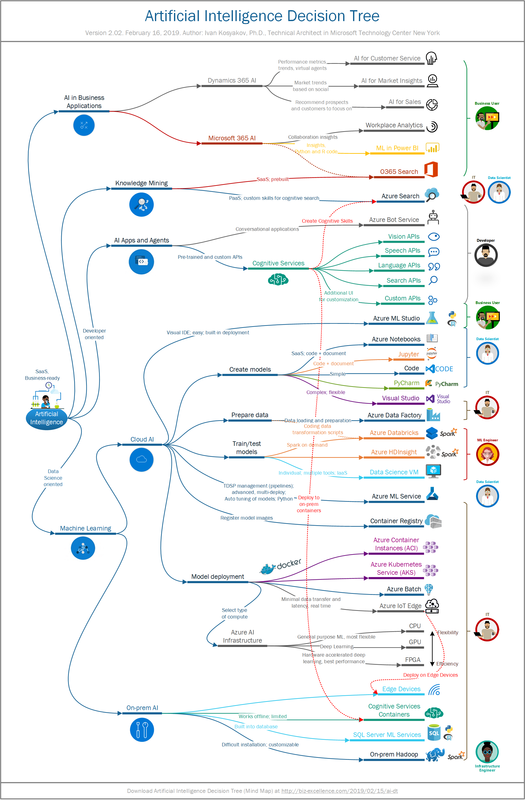 Machine Learning Frameworks: Deep Learning (ONNX, PyTorch, TensorFlow), General ML (Spark MLllib, SparkR, SparklyR, MML Spark). 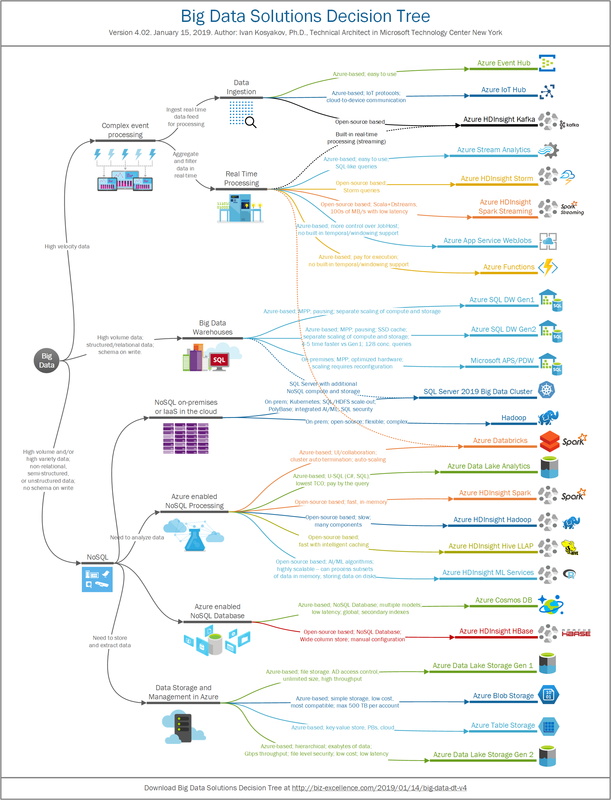 Architecture and concepts: How does Azure Machine Learning service work? Azure SQL Database Managed Instance (Azure SQL DB MI) is a fully managed SQL Server Database Engine Instance hosted in Azure cloud. This is the most compatible PaaS option for migrating on-premises SQL Server databases to the cloud (PaaS is good if you want to use capabilities like automatic patching and version updates, automated backups, built-in high-availability etc. to reduce management overhead and TCO). So, what “near 100% compatibility of Azure SQL DB MI with the latest SQL Server on-premises (Enterprise Edition) Database Engine” actually means? First, components of SQL Server which are not related to the Database Engine are not available in Azure SQL DB MI. Reporting Services, Integration Services, Analysis Services, Master Data Services, Data Quality Services are not there. Second, some of the features of SQL Server EE needed for enterprise database workloads, are still not available in Azure SQL DB MI, probably due to complexity considerations, not enough requests/impact, or due to availability of similar or better capabilities in Azure. Feature comparison of SQL Server and Azure SQL DB MI can be found in the official documentation. 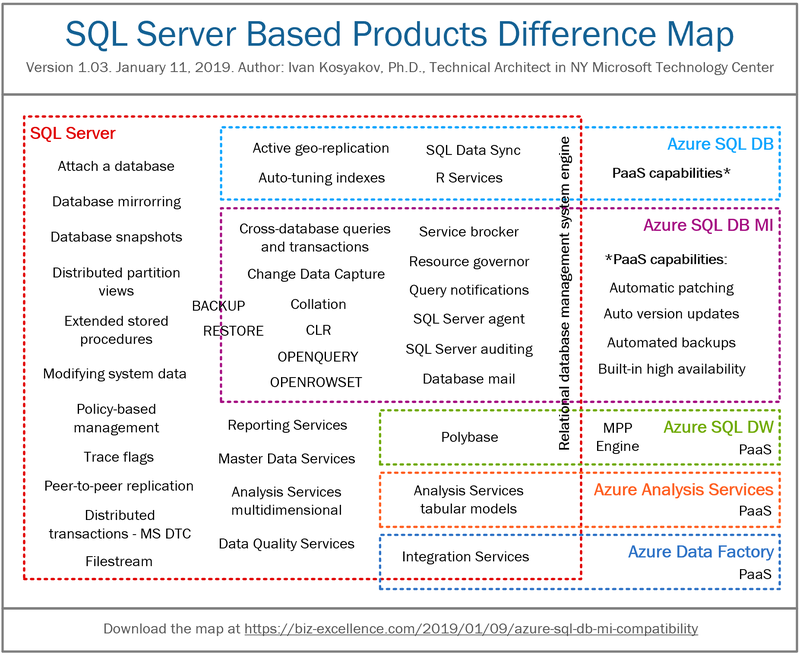 Below is a graphical representation of most important differences between SQL Server, Azure SQL DB MI and some other PaaS offerings in Azure. On the picture features on the borders are partially compatible. 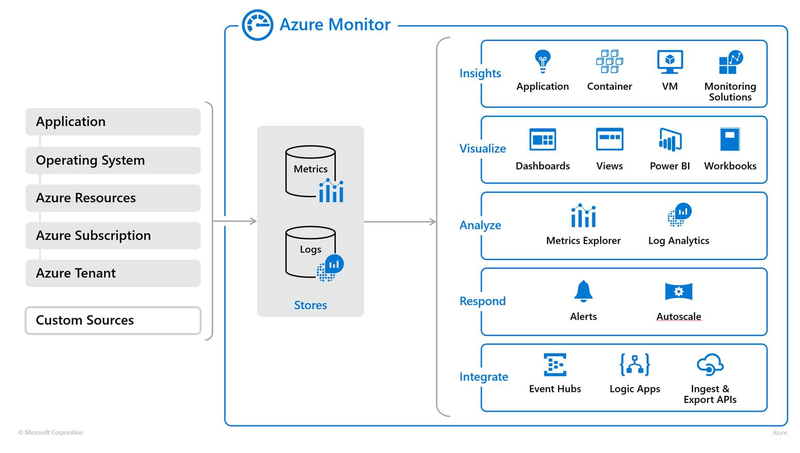 Azure Search is a search-as-a-service cloud solution that gives developers APIs and tools for adding a rich search experience over private, heterogenous content in web, mobile, and enterprise applications. In a context of organizations, applications with search capabilities can be used by External Customers or Internal Business Users. Example of Cognitive Search on top of publicly available JFK files (see JFK Files Public Site and JFK Files Project). When you use Full Text Search, query execution is done over a user-defined index on top files and searchable datasets. Cognitive search can be added to create searchable information out of non-searchable content by attaching AI algorithms to an indexing pipeline. AI integration is provided through cognitive skills, enriching source documents before creating a search index. Natural language processing skills include entity recognition, language detection, key phrase extraction, text manipulation, and sentiment detection. With these skills, unstructured text becomes structured, mapped to searchable and filterable fields in an index. Image processing skills include OCR and identification of visual features, such as facial detection, image interpretation, image recognition (famous people and landmarks) or attributes like colors or image orientation. You can create text-representations of image content, searchable using all the query capabilities of Azure Search. Custom skills are a way to insert transformations unique to application content. A custom skill executes independently, applying whatever enrichment step you require. For example, you could define field-specific custom entities, build custom classification models to differentiate business and financial contracts and documents, or add a speech recognition skill to reach deeper into audio files for relevant content. Skills can be chained. For instance, you may want to use the language you detected to improve the accuracy of the key-phrase extractor. To reduce latency for remote users (in a case of geo-distributed workloads) it makes sense to create search services in each corresponding region (that is in closer proximity to these users). For example, you may use multiple Azure Search indexers in different regions that will point to the same datastore. To route requests to multiple geo-located websites that are then backed by multiple Azure Search Services, you may use Azure Traffic Manager. This approach also provides high availability and load balancing. Full text search – queries can be formulated using Simple query syntax or Lucene query syntax. Cognitive Search (Preview) – AI-powered algorithms for image and text analysis can be applied to an indexing pipeline to extract text information from raw content. A few examples of built-in skills include optical character recognition (making scanned JPEGs searchable), entity recognition (identifying an organization, name, or location), and key phrase recognition. You can also code custom skills to attach to the pipeline. Data integration with JSON data structures. Indexers can be used to automatically crawl Azure SQL Database, Azure Cosmos DB, or Azure Blob storage for searchable content in primary data stores. Azure Blob indexers can perform document cracking to extract text from major file formats, including Microsoft Office, PDF, and HTML documents. Custom lexical analyzers and Language analyzers from Lucene or Microsoft are used for text processing during indexing and search operations. Geo-search can be used to process, filter, and display geographic locations. User experience features: Auto-complete (preview), Search suggestions, Synonyms, Faceted navigation, Filters, Hit highlighting, Sorting, Paging, Simple scoring for relevance ranking. Administrative and development tools: Search traffic analytics, Service administration, Import data wizard, Search explorer.